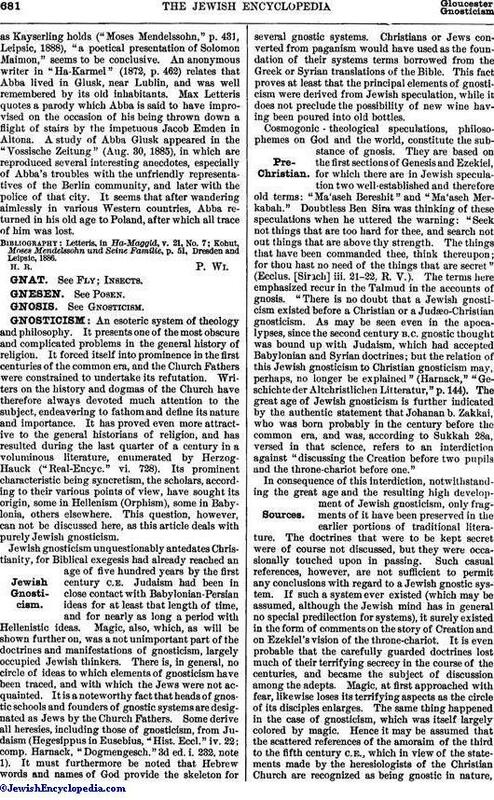 The evidence that Abba Glusk Leczeka really existed and was not,as Kayserling holds ("Moses Mendelssohn," p. 431, Leipsic, 1888), "a poetical presentation of Solomon Maimon," seems to be conclusive. An anonymous writer in "Ha-Karmel," (1872, p. 462) relates that Abba lived in Glusk, near Lublin, and was well remembered by its old inhabitants. Max Letteris quotes a parody which Abba is said to have improvised on the occasion of his being thrown down a flight of stairs by the impetuous Jacob Emden in Altona. 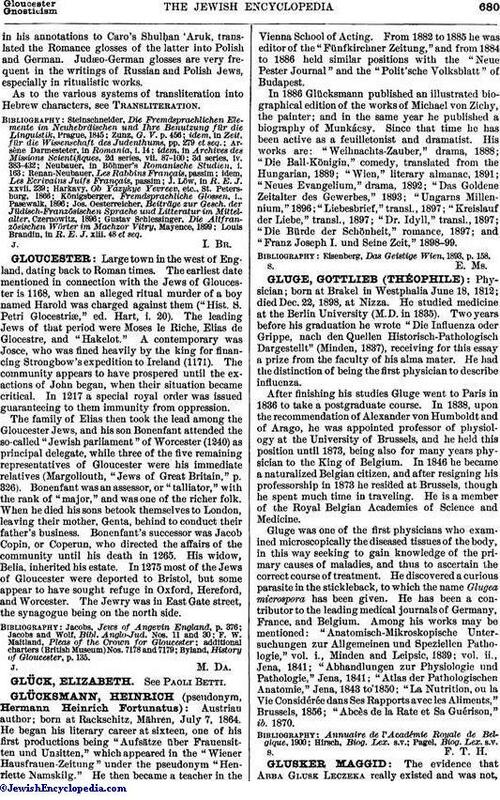 A study of Abba Glusk appeared in the "Vossische Zeitung" (Aug. 30, 1885), in which are reproduced several interesting anecdotes, especially of Abba's troubles with the unfriendly representatives of the Berlin community, and later with the police of that city. It seems that after wandering aimlessly in various Western countries, Abba returned in his old age to Poland, after which all trace of him was lost. Kohut, Moses Mendelssohn und Seine Familie, p. 51, Dresden and Leipsic, 1886.